What is a Normal Resting Heart Rate & What Does It Say about Health? One thing you can count on. Every minute you’re alive, your heart is beating rhythmically inside your chest. If you place your hand on the left side, just above your breast, you can feel its perpetual pulsations. Your heart is one of the hardest working organs in your body, right next to your brain, and one that can’t go on strike. Your heart beats with a relatively regular rhythm 24 hours each day every day of the year, but it’s also sensitive to its environment. It speeds up when added demands are placed on it, such as exercise or stress, and slows when things are calm, as during sleep. It’s easy to check your heart rate. Place your fingers over the carotid artery in the neck or against the radial artery in the arm and count for 10 seconds. Multiply that value by 6 and you have your resting heart rate. 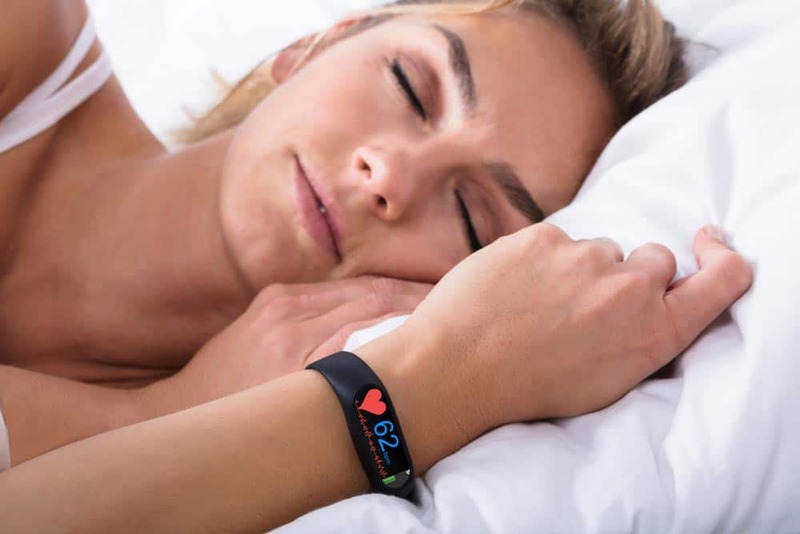 So, what does the number mean and what is a normal resting heart rate? Does how fast or slow your heart rate say something about your health? A normal resting heart rate is 60 to 100 beats per minute. How fast your heart beats at rest is influenced by age. For example, a resting heart rate of 100 might be normal for a child but not for an older person. A newborn infant has a resting heart rate of around 120 beats per minute while an adult averages around 70 beats per minute. Heart rate slows with age in healthy adults. A healthy, middle-aged adult will typically have a resting heart rate of less than 80 beats-per-minute. In fact, having a heart rate faster or slower than this may say something about your health and the odds of your heart being healthy. According to a large study called the Women’s Health Initiative, a faster resting heart rate is a marker of a higher risk of future heart attacks. In the study, researchers looked at the average resting heart rates of almost 130,000 post-menopausal women. They found those who have resting heart rates above 76 beats-per-minute had a 26% greater risk of a heart attack than those who have a resting heart rate of 62 beats-per-minute or less. This link makes sense because a slow heart rate, in general, means your heart is a more efficient pump. When it’s more efficient, it doesn’t have to beat as many times per minute to deliver oxygen to tissues. Being aerobically fit makes your heart more efficient and causes a slowing of resting heart rate. In fact, some top-level endurance athletes have a resting heart rate as low as 40 beats-per-minute. A heart rate this slow would raise a red flag in someone who is sedentary. Another study published in the journal Heart in 2013 followed 3,000 men for 16 years. It found that a higher resting heart rate was associated with greater body weight, abnormal lipids, higher blood pressure, and increased odds of dying prematurely. A resting heart rate above 90 beats-per-minute more than tripled the odds of dying. So, a slower heart rate may indicate a healthy heart. But, having a heart rate below 60 may be a sign of heart problems. If you’re athletic, a slow heart rate may be normal, but get it checked by your physician if you’re not athletic. For example, it may be a symptom of an underactive thyroid gland. These studies provide compelling evidence we should keep close tabs on our resting heart rate, just as we follow other health markers like blood lipids and blood pressure. Resting heart rate provides valuable information and is something you can easily check at home. The best time to check your resting heart rate is first thing in the morning before you move around. Movement, anxiety, and even certain medications can raise your resting heart rate. For example, medications with a stimulant effect cause the heart rate to rise. Other medications can lower it, including beta-blockers used to treat hypertension and some heart meds. Caffeine, from energy drinks, coffee, and tea, can temporarily elevate it. Also, don’t check your resting heart rate within a few hours of a workout as it can stay high for a few hours after exercise, especially if you don’t drink enough fluids. Even mild dehydration can increase your heart rate as it places added stress on your heart. If you exercise regularly, especially if you do high-intensity workouts, a rise in your morning heart rate may indicate that you’re overtraining. Overtraining activates your sympathetic, also known as the fight-or-flight, a component of the nervous system and this speeds your heart rate up. Monitoring for overtraining is another reason to check your heart rate as soon as you wake up before you get out of bed and follow it. If your heart rate is elevated over 7 beats above baseline, it may be a sign you’re pushing too hard and need more recovery time between workouts. If your heart rate is above 80 beats-per-minute at rest, it could simply be because you’re deconditioned. Consistent aerobic exercise will help bring your resting heart rate down. But check with your physician. A fast resting heart rate can be a sign of other health problems, including an overactive thyroid gland or anemia. Make sure you’re healthy before starting a rigorous training program. Resting heart rate is a marker of overall fitness and heart health. Like other markers of health, it’s something you should follow. The next time you check your blood pressure, note your resting heart rate. You can also use a heart rate monitor or fitness tracker to record your heart rate. Be sure to keep a record of your resting heart rate and show it to your physician. European Heart Journal. Volume 34 Issue 2314 June 2013. European Journal of Clinical Investigation. Volume48, Issue3.March 2018. e12892.